I organized a Secret Valentine exchange for my work and we were only allowed to spend $5, and homemade gifts are always appreciated, so I decided to make the card (I also got my valentine a small plant). 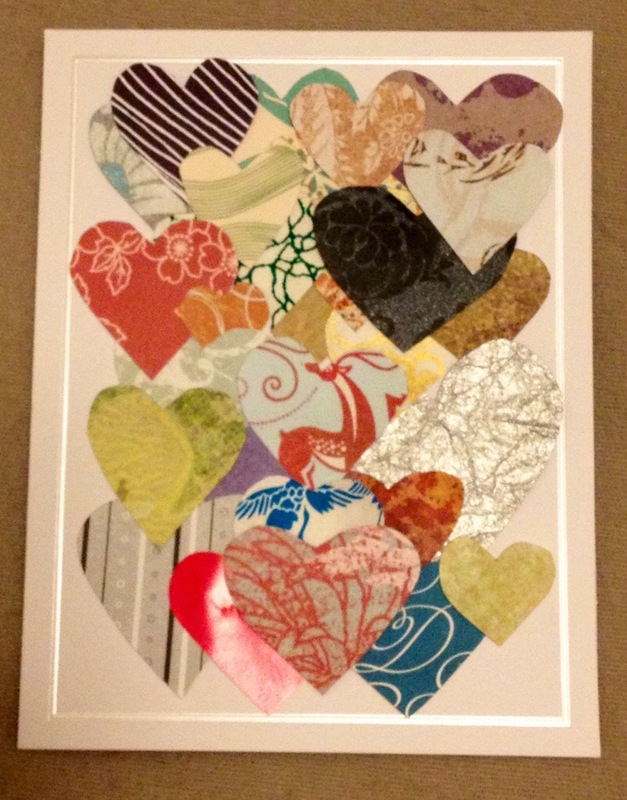 I made a heart out of like 20 different papers and then collaged them together on the front of a blank card. Happy almost Valentine’s Day!